Read the report of the below April 2011 gathering. Download the below invitation card in PDF format (209KB) Downloaded [download#468#hits] times. EVERYONE is invited, from athletes, coaches, parents, media people, to the public. We want your participation and feedback. 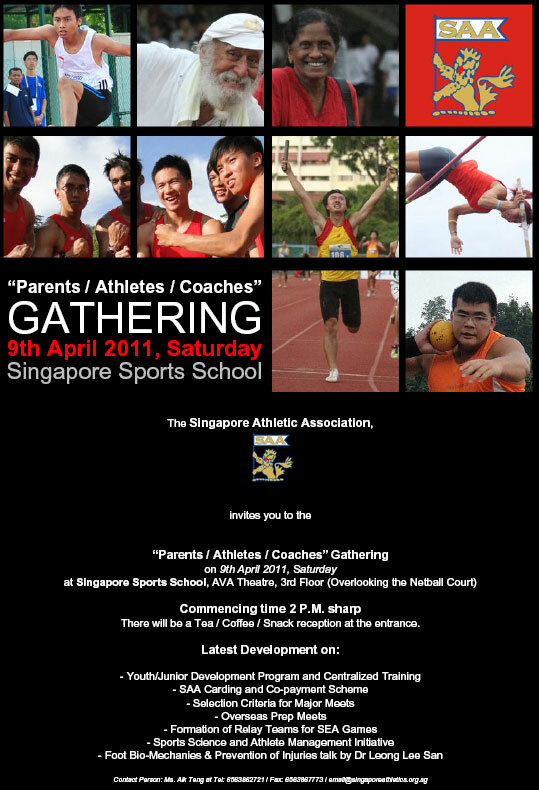 Have a say and stake in the development of Singapore athletics.